Cancer Research UK has revealed that it expects to lose £600,000 a year because of controversial government changes to probate fees. The charity, which receives no government funding, said the sum would be enough to pay for two years of research into the personalisation of bowel cancer drugs. The voluntary sector has been lobbying strongly against legislation to remove the existing flat-rate probate fee of £215 and replace it with fee bands. The Institute of Legacy Management has estimated that the change could cost the sector £10m a year. 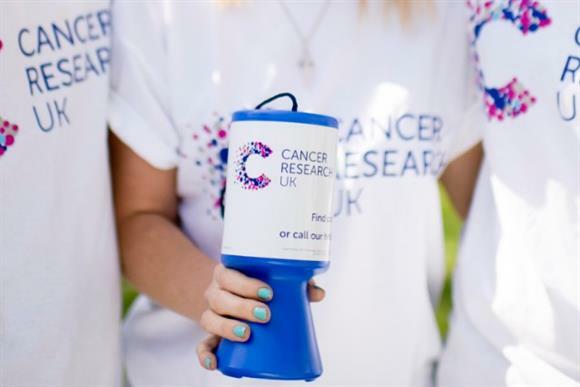 But CRUK, which is Britain's biggest fundraising charity, is the first individual voluntary organisation to reveal how much it expects to lose. Maria King, head of legacy professional partnerships at CRUK, said the £600,000 figure was based on "detailed historic data of the more than 6,000 legacy gifts we receive each year". She added: "Last year, more than a third of the charity’s pioneering research was funded by gifts left in wills. "There is no doubt that the fee increase would have a significant impact on CRUK’s life-saving work and families affected by cancer." CRUK has worked with Remember A Charity, the ILM and the Institute of Fundraising to propose a charitable exemption or discount. But the government does not appear to be budging. In a letter received this week by the IoF, Lucy Frazer, the minister responsible for legal fees, insisted "there will not be a substantial impact on any individual beneficiary". Frazer rejected a request to meet sector bodies because of "parliamentary business and other pressures on my time". She wrote: "The government works to support charitable giving, but it would not be practical for the Probate Service to apply different sets of fees for those estates that include a charitable donation." Frazer added that 25,000 estates would not have to pay any fees at all because the threshold for payment was due to rise from £5,000 to £50,000. Rob Cope, director of Remember A Charity, disagreed with Frazer's comment that the new fees would not have a substantial impact on individual beneficiaries and said CRUK highlighted this. Cope said: "Legacy income continues to grow and have a massive impact for the work of good causes. "For this reason, Remember A Charity and the IoF will continue to warn against the unintended consequences of the fee." The Non-Contentious Probate (Fees) Order was passed by a committee of MPs in February. If it is to become law, the government needs to schedule an approval motion in the House of Commons. If no MPs oppose the motion, a statutory order will be made and the new fees will come into force 21 days later. The government had planned to complete this process by 1 April, but it has not yet happened. A Ministry of Justice spokeswoman told Third Sector this week that it would happen "as soon as parliamentary time allows". Cope said he was "encouraged" that the issue would go before the House of Commons. "MPs will now have the chance to express their views and we are confident that they will agree with our stance," he said. But the Commons has not annulled a statutory order since 1979. Nicola Evans, charities counsel at the law firm BDB Pitmans, said: "The minister has not acknowledged that the Probate Service is already self-financing, nor justified why charities should be taxed to subsidise other parts of the courts and tribunals system. "The government’s impact assessment on the proposal did not assess the cost to charities, assuming instead that the cost was ‘not expected to be substantial’, but the response from charities today shows the real-world cost of the proposal."